Wrangle Your Head with an HJC FG-X Helmet! It’s hard work wrangling dirtbikes, the last thing you want on your mind (ha!) is an old, heavy helmet. The HJC FG-X Helmet is the answer. Thanks to HJC’s Polycarbonate Composite shell construction, the FG-X is light, really light. It also flows tons of air thanks to the Advanced Channeling Ventilation System (ACVS) which keeps you cool when you’re knee deep in muddy whoops. Safety? HJC has that covered as well. 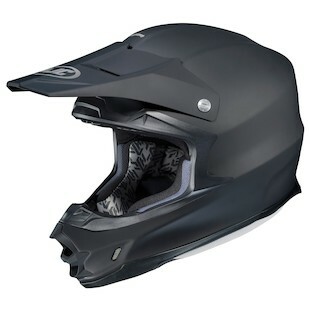 The FG-X Helmet passes not only DOT testing standards but is Snell 2010 Certified. After a long day of hittin’ table tops, just pop out the removable / washable cheekpads and liner to keep your helmet (and yourself) fresh. The FG-X comes in Black, Matte Black, and White for starters, but there are a few more intriguing options, like the Driven graphic pictured here. 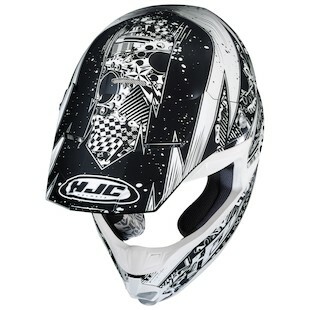 Check all of the HJC FG-X Helmets out at RevZilla.com!